The season of gifting has arrived and we have selected a group of Cabernets that will make the perfect gift. Whether it be for friends, family, colleagues or a great addition to your wine collection – this offering is a must have! We are offering a “Vertical” of three different vintages, presenting wines from three warmer years following the 2011 cool year. 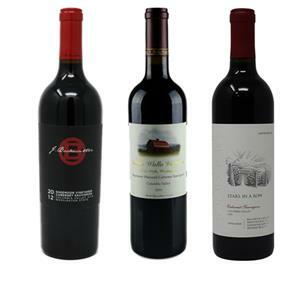 Three different winemakers displaying their talent working with Cabernet Sauvignon from Bacchus, Dionysus and Sagemoor. Order now through December 17th to guarantee arrival for Christmas. For the Holidays we are offering a great deal of 30% off plus a free Sagemoor wine key and $1 shipping on this Cabernet box!